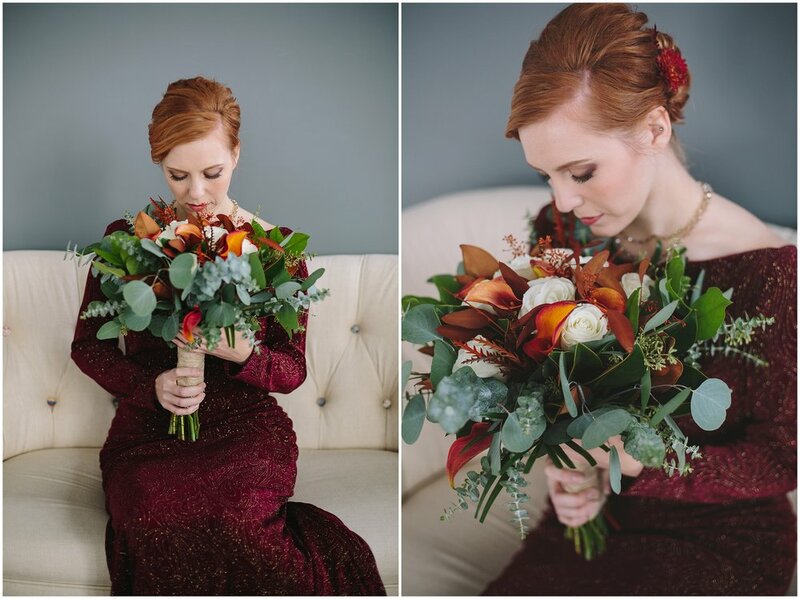 The initial idea for this styled shoot sprang from my desire to celebrate and capture the beauty of the fall season. Fall is my favorite season. The lovely colors, the crispness of the air, the warm drinks and food that accompany the holidays; fall signifies a time of change and transition which always feels special each and every year. I connected with Jaime, of J’aime Events, and once she was on board with my concept, she took the basic idea of the shoot and ran with it, creating a concept far beyond what I could have imaged! 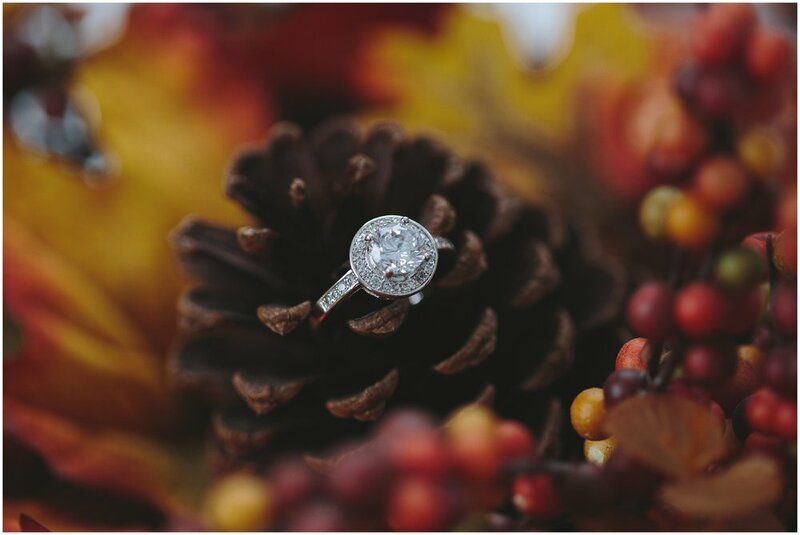 After bouncing ideas back and forth, we finalized our concept - the feel for this styled shoot would take the natural elements from nature as it transitioned from autumn to winter. The deep browns and the remaining orange/red leaves hanging on the trees would be our color and texture inspiration. At the shoot, the colors mixed with the light airiness of the venue lent for gorgeous photos. 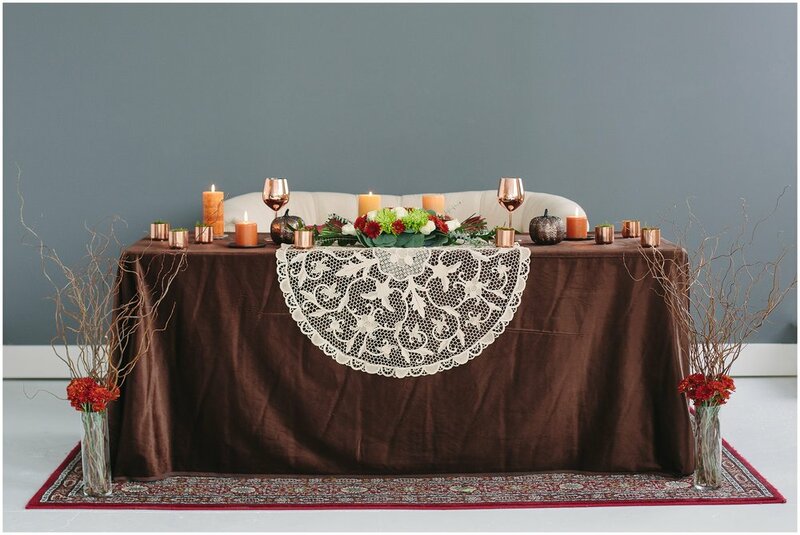 It is an example of how you can bring your love for the fall season into your wedding day and embrace the rich colors, the food, and natural surroundings to elevate everything to create an elegant setting. 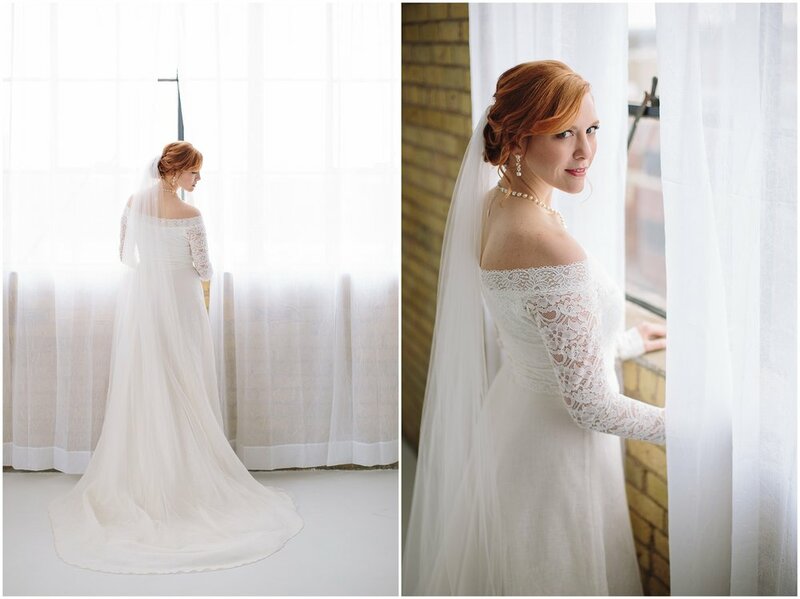 Our team of Forever Bride vendors collaborated to bring forth the vision of this styled shoot. It was exciting to see everyone's creative approach to the theme Jaime put together. 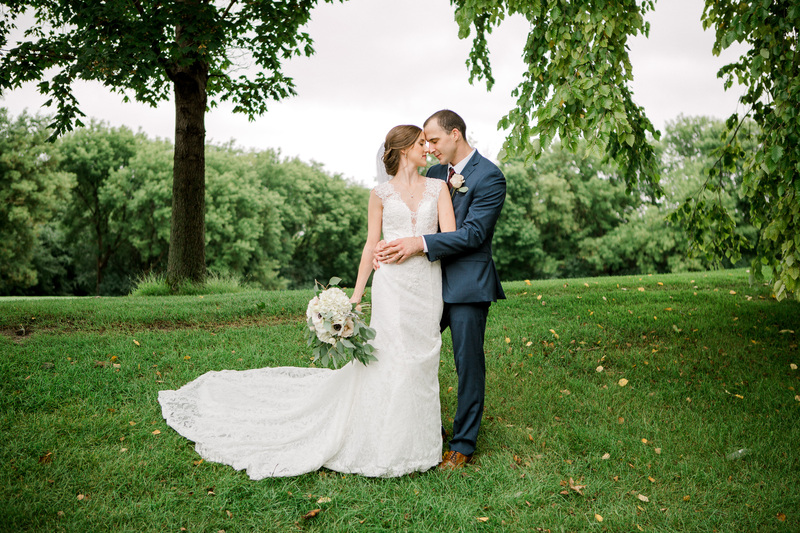 Our collective talent created a styled shoot that far surpassed my wildest dreams! 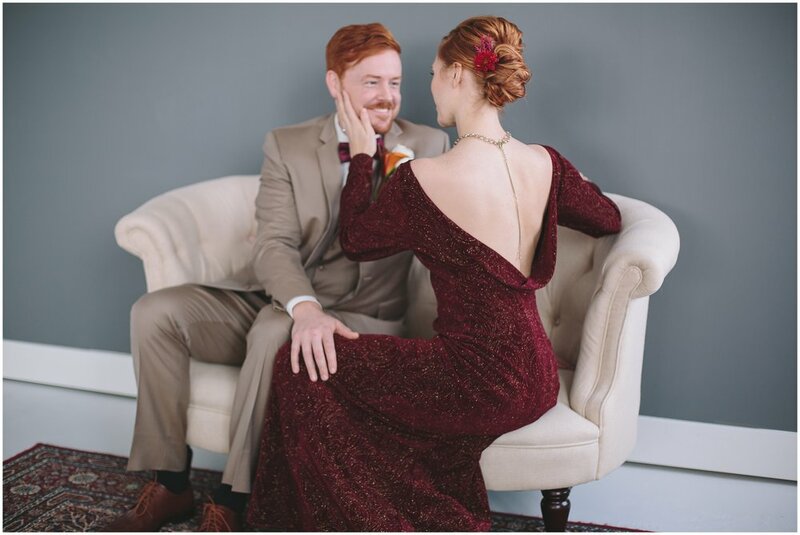 One of Jaime’s personal highlights from the shoot was the change from the bridal dress into a burgundy velvet low back reception dress designed by Deborah with Beauty by Design. The dress was paired perfectly with a necklace designed by Kay with Auntie Kay’s Accessories that hung perfectly to accentuate her back. 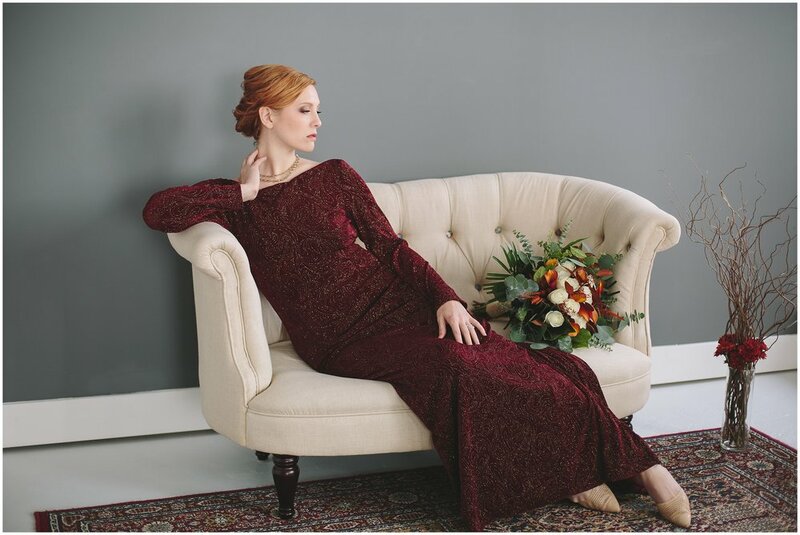 From the dress, to the hair and makeup, the complete look was a classic stated elegance that could go from wedding day into an evening date at the theater. How romantic!